Your liver and stomach love to listen to music too! As the Chinese medical classics say: `The liver likes music. The liver relaxes once it hears good music.' This CD aims at soothing your digestive system with graceful music that helps you relax and absorb the nutrition of food. 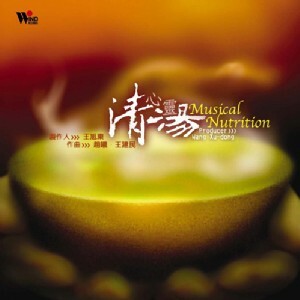 Musician Dr. Wang Xu-dong adopts ancient medical theory to cook up this Chinese New Age musical diet. The erhu, pipa, gu-zheng, and cello interweave to create a peaceful atmosphere to heal your emotions and to energize your body.